(TibetanReview.net, Aug16, 2017) – Tibet’s exiled spiritual leader, the Dalai Lama, returned to Dharamshala on Aug 15 after being away for over a month and half period of hectic schedules of teachings and other engagements in the Ladakh region of Jammu and Kashmir, New Delhi, and Mumbai beginning Jun 28. He cancelled with “profound apologies” what was to be his first ever visit to Botswana in southern Africa for Aug 15-20, citing exhaustion. However, he still faces a long list of teachings, other public events, and overseas visits beginning Aug 29. From Aug 29 to Sep 1, the Dalai Lama will give religious teaching to an assorted group of devotees from several Asian countries, including Indonesia, Korea, Malaysia, Singapore, Thailand and Vietnam in the Tsuglakhang, Dharamshala. He later flies to the UK to give a public talk on ‘Compassion in Action’ at the Millennium Forum in Derry-Londonderry, Northern Ireland, on Sep 10. The Dalai Lama next flies to Germany where he is scheduled to give a public talk on ‘Global Ethics – Shared Values’ in the Jahrhunderthalle, Frankfurt, on Sep 13, with the event being organized by the city-based Tibet House. He will also participate in a daylong conference on ‘Western Science and Buddhist Perspectives’ in the same venue the following day. The Dalai Lama’s next schedule takes him to Italy where on Sep 16 he will give a public talk on peace in the Ancient Greek-Roman Theatre of Taormina, Sicily. This will be followed by a public talk on ‘Compassionate Ethics and Interdependence’ in the Teatro Vittorio Emanuele, Messina, also in Sicily, on Sep 17. The next day he will give a give a public talk on ‘Joy Education’ in Palermo, Sicily, with the venue being yet to be confirmed. 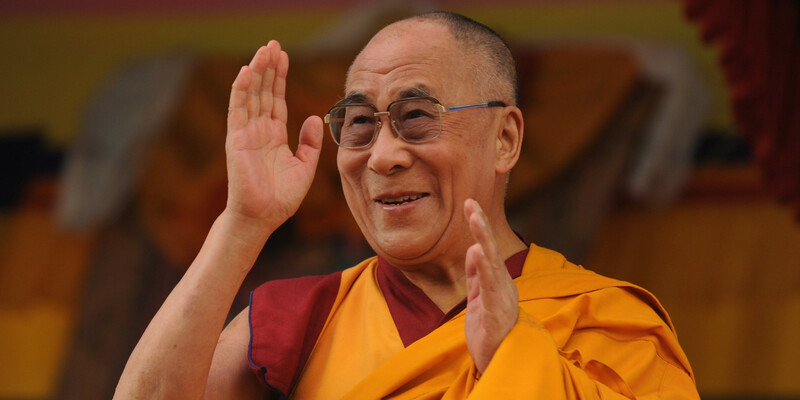 The Dalai then travels to Florence in the Italian province of Tuscany where on Sep 19 he will give a public talk on ‘Peace through Education’ organized by the City of Florence at the Mandela Forum. Then over Sep 20-21 he will participate in a symposium on ‘Buddhist Science and Modern Science’ in the fields of Buddhist philosophy and science, the neurosciences, quantum physics, and Western philosophy, with the event being organized by the University of Pisa and Istituto Lama Tzong Khapa at the Pisa Congress Hall in Tuscany. The Tibetan leader next flies to the Latvian capital Riga where over Sep 23-24 he will give religious teachings in the Skonto Hall. Later on Sep 25 he will give a public talk on ‘Harmony Without Boundaries’ in the same venue. Then, after returning to Dharamshala, he will give religious teachings over Oct 3-6 at the request of devotees from Taiwan.